Are you a Virgo? A Leo? Maybe you’re a Scorpio? Knowing your Sun Sign or sign is just one of pieces of the puzzle to help you understand yourself through Astrology. us. Our birth charts reveal the energy we are born with and give us clues about how to use our energy. We all have placements in all the planets in Astrology. A major part of our birth chart is our Moon Sign. Along with the Sun and Rising Sign, the Moon is considered one of top 3 placements in the natal chart. In Astrology, the moon represents our unconscious, our instinct, and habitual reactions and because of this is the most predictable part of us. Therefore the sign your moon falls in can help you understand how you handle emotions, how you respond to what happens emotionally and how you are unto yourself. If you don’t know what your moon sign is, you can get a free birth chart here or click here to use a moon sign calculator. Now we’ll take a look at how the placement of your Natal Moon affects your expression of emotions, predictability, and habits. A natal moon in Aries is a cardinal fire moon. 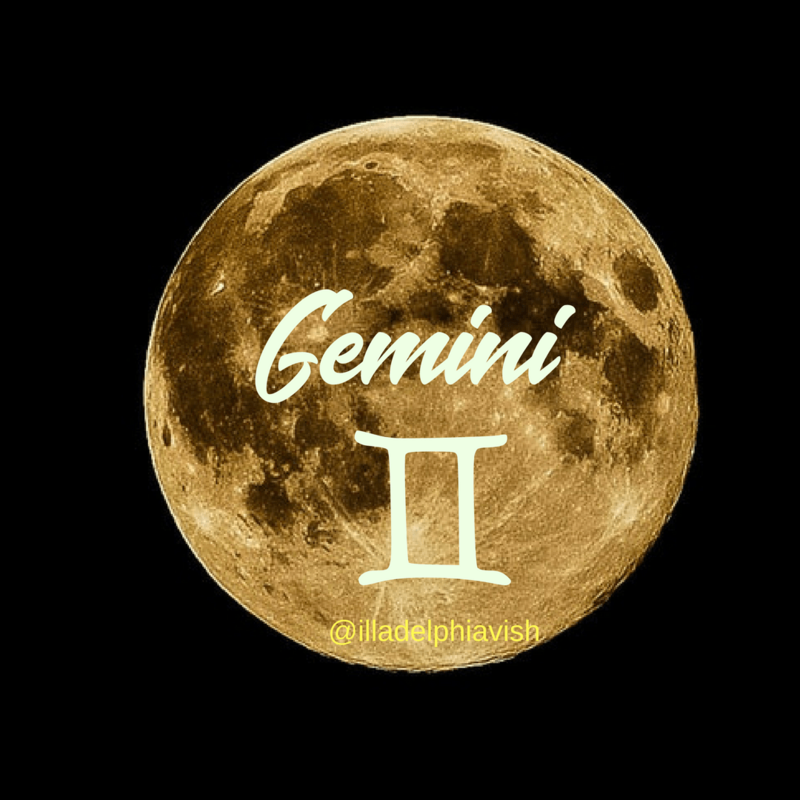 This placement of the moon is impatient, temperamental, aggressive, and passionate. If your moon is in Aries you have no time for beating around the bush when it comes to emotions, don’t like to wait to make things happen, and enjoy living in the moment. More motivated by instant gratification than long-term success, those with this placement have an innate need to face things head on- especially since they take things rather personally. They prefer to deal with blows to their ego immediately and tend to have to have fiery temper flare-ups that end as quickly as they begin. Lunar Ariens have an extremely hard time distinguishing between what they want and what they need. Their desires are extremely intense, so much so that they tend to be so preoccupied with their own emotional wants and needs that they don’t take others into consideration. They have an uncanny ability to draw people to help them in times of crisis and are accustomed to getting their way for the most part. A natal moon in Taurus is a fixed earth moon. This placement of the moon is strong-willed, persevering, conservative, grounded and steady. If your moon is in Taurus you dislike being pushed into things, but once you make up your mind about something, you’re strongly committed to it. You tend to feel with your senses and have a fondness for material comforts and stability. Messy and dramatic emotional displays are not your style. You focus primarily on creating a secure environment for yourself and are rigid in your resistance to circumstances, people, and situations changing. Naturally warm, sentimental, and romantic, Lunar Taureans are prone to enduring long relationships, both good and bad. Their fixed earth energy lends to stubbornness, resulting in breakups being difficult for them. They are loyal and inclined to preferring steadiness over spontaneity; structure and routine over spur-of-the-moment behavior. A natal moon in Gemini is a mutable air moon. This placement of the moon is restless, witty, talkative, and more intellectual than emotional. If your moon is in Gemini are curious, almost to a fault and in need of more mental stimulation than other people. Being knowledgeable about multiple subjects is appealing to you and you don’t hesitate to join in conversations in social situations where you can share your knowledge and pick up on new things. You are more comfortable being open to new ideas than to take a definitive stance on something. Versatility is your comfort zone. Lunar Gemini can come off as emotionally detached given that they are better at talking about their emotions than actually feeling them. This causes them to have a difficult time understanding the complicated emotions of those around them. A natal moon in Cancer is a cardinal water moon. This placement of the moon is at home in that the moon is Cancer’s natural ruler. This makes individuals with Cancer moons emotionally receptive, somewhat clingy, peace-loving, and moody. If your moon is in Cancer you cling to home as well as people and things that mean a lot to you. It is important you that you feel secure and have peace in your surroundings. Superficial people turn you off and you have a very strong attachment to sentiment. Your recollection of the past is strong since you tend to tie what happened in your life to your feelings about it. Lunar Cancerians attachment to emotions can sometimes lead to them dwell on things, good and bad, for too long. This attachment to emotion also aids to their moodiness and ability to become very put off when they feel they’ve been taken advantage of. However, the almost motherly nature of an individual with a Cancer moon is extremely warm and protective. A natal moon in Leo is a fixed fire moon. This placement of the moon is creative, entertaining, dramatic and proud. If your moon is in Leo, you enjoy being in the spotlight when you feel like it, oftentimes by being funny. You like to receive love as much as you like to give it though if you feel you have been slighted or have had your pride injured you can become a drama queen or king. You do however care about how you look to other people and will very rarely sulk in public. Lunar Lions are often slow to change their minds and require a lot of time to adjust to changes. Proud, with a regal air about them, they are typically fair and possess a strong sense of justice. They also would rather lead than follow and are compelled by a strong urge to do and say what they feel to be right. A natal moon in Virgo is a mutable earth moon. 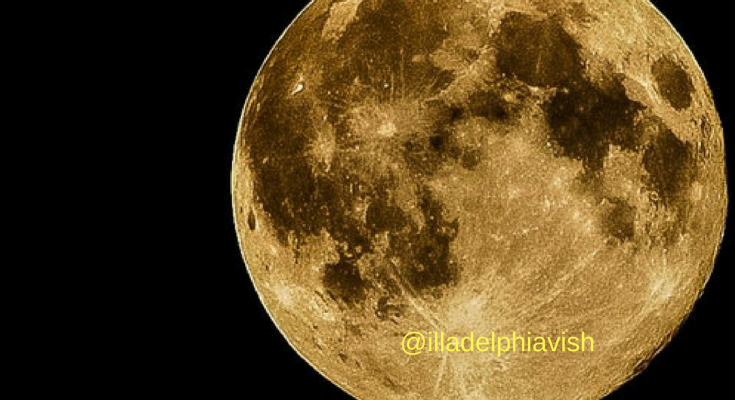 This placement of the moon is organized, detailed, unassuming, and prone to worrying. If your moon is in Virgo you feel most secure in the little things life brings and are content when you’ve got a good handle on the everyday details of your life. You appreciate simplicity more than most and are not bothered living low-key. Being of use is of the utmost importance to you as is having a steady routine. Lunar Virgoans can be fussy and nitpicky at times, opting to focus on the small details as opposed to the big picture. Practical and precise, people with this placement of the moon are extremely self-aware which at times can make them highly self-critical. Their trustworthy and dependable character makes them ideal friends and confidants. The natal moon in Libra is a cardinal air moon. This placement of the moon is conceding, sympathetic, gentle, refined, and passive-aggressive. If your moon is in Libra you have a strong need for partnership and peace, harmony and balance is very important to you. You have a tendency to find strength through your relationships with others and rarely like doing anything alone. Flirtatious and sociable, lunar natives of this sign are extremely charming and love a good debate or mental rapport with others. Lunar Librans cannot turn a blind eye to disharmony and even if they don’t speak on any unbalances in their lives they will remain bothered by them until those situations are fixed. In their arguments with others, they will go to great lengths to have the last word, since they love nothing better than winning. A natal moon in Scorpio is a fixed water moon. This placement of the moon is intense, all-or-nothing, transformative, deeply emotional, and suspicious. If your moon is in Scorpio you require emotional intensity and if your life is lacking it will stir up emotional excitement just to test your strength. 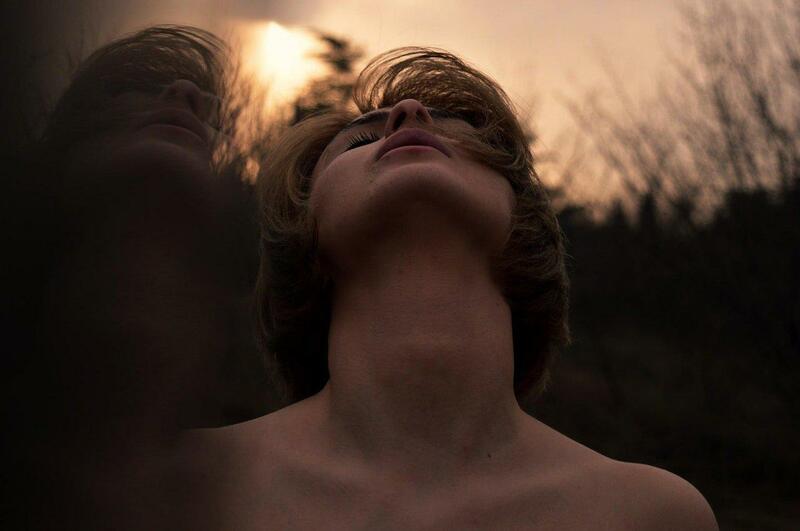 Emotional highs and lows that are dramatic and deep fuel your innate need for transformation.You dig right into the core of people and are able to see their true emotional nature, without pretense or facade. Lunar Scorpios spend a lot of time trying to master and control their emotions and have a strong fear of betrayal. This makes them adept at putting people in their lives through tests that sometimes force others to give up something for them. They have spot-on emotional radar and can size people and situations up rather quickly. The natal moon in Sagittarius is a mutable fire moon. This placement of the moon is freedom-loving, helpful, inspiring, open-minded, and prone to irresponsibility. If your moon is in Sagittarius you like space and personal freedom as being held back or cooped up is irritating to you. Activity-driven, you enjoy going out the world and meeting people and seeing new places. Your enthusiastic and optimistic nature make it easy for you befriend others and this energy also makes you a fantastic teacher or leader. Lunar Sagittarians are free-spirited individuals who are hungry for knowledge, experiences, and ideas that expand their minds. When they feel stuck in a routine or situation they have a tendency to flee, returning only when they feel renewed. In general, these people have the eternally optimistic outlook that everything will always work out. A natal moon in Capricorn is a cardinal earth moon. This placement of the moon is productive, useful, cool-headed, reliable, authoritative, and calculating. If your moon is in Capricorn you are typically outwardly cool, calm and collected regardless of what emotions may be brewing inside. You are an expert at managing and controlling your emotions in a practical and efficient way. Having the respect of others is paramount to you and you have no problem working hard to get and keep it. Lunar Capricorns do not like outwardly messy displays of emotions and are very put off by others who display them. At times their cold nature can be mistaken for being lacking in emotion when really they are not comfortable surrendering to it. They prefer to keep their emotions under control. The natal moon in Aquarius is a fixed air moon. This placement of the moon is observant, idealistic, humane, independent, and detached. If your moon is in Aquarius you enjoy analyzing people and trying to figure out why they do the things they do. You pride yourself in maintaining your uniqueness and are acutely aware that you don’t quite fit in with others. Independence is extremely important to you and you have no problem rebelling against established norms. Lunar Aquarians are quick to deny what they consider to be irrational emotions like fear or jealousy and in their attempt to seem above such emotions can come off as haughty or condescending. At times they seem to lack emotion as they expect others to be as adept at rising above base behavior as they are. A natal moon in Pisces is a mutable water moon. This placement of the moon is dreamy, intuitive, compassionate, creative, empathetic, and illusory. If your moon is in Pisces you extremely perceptive to the subtleties of human nature. As Pisces is the last sign of the zodiac your moon here holds a piece of every zodiac sign, making it easy for you to be very compassionate towards others as you see a small part of yourself in everyone. You have a tendency to feel things out, relying more on your intuition than logic. Lunar Pisceans can easily lose themselves in others and need plenty of alone time, lest they get overwhelmed by the energy of others. Their understanding and caring nature can at times make them targets for manipulation, though when they typically develop the ability to separate sincerity from people with ill-intentions. Creativity is their respite and escape from the world that seems to harsh for these sensitive souls. What’s your moon sign? Do you find these characteristics are fitting? Let us know in the comments! Moon sign in Aquarium. Spot on.